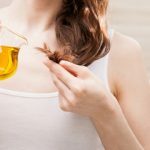 Long hairstyles can also be quick and easy despite all the information we know about how hard it is to take care of a long hair texture. 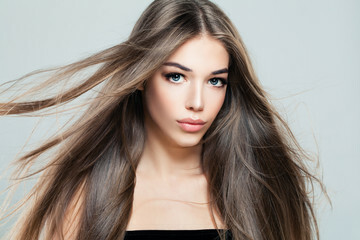 In fact, when you have long hair you can experiment and change your look not only every day but also a couple of times a day. 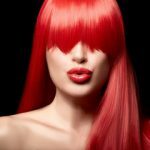 Isn’t it easier to change a hairstyle than to change the outfit to spice up the look immediately? So, if you have a long haircut, don’t think you’re limited to wearing a ponytail or a braid every day. 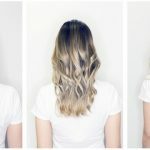 There are tons of different ways on how you can change the look without spending hours on your hairstyle. Let’s have a look. The following hairstyles are great for those who have 5 minutes before school, college or work in the morning. As they don’t require special styling skills or plenty of time. Add a little bit of thickness and volume before doing a hairstyle. 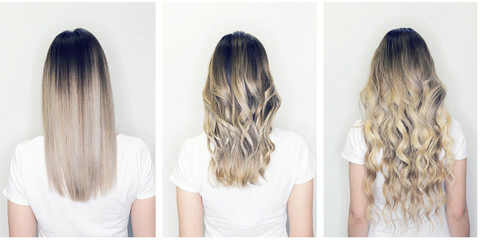 Curl your hair. It has to be just a messy curly look. Nothing more. Then, use a hairspray and a comb to tease a little bit. A prep part shouldn’t take more than 2-3 minutes only. And now you can start doing an actual hairstyle. Gather all of your hair that is above the temples. Hold it it with a hair elastic. On the last loop pull your hair halfway through to create a bun. Take the ends and place them around the elastic. Pin to hold in place. Grab small top sections in the front on both sides. Twist them away from the face. The twists shouldn’t be too tight. Then, slightly tie them together. Secure the knot with a few bobby pins. Loosen them up for a more effortless and romantic look. Create a very high ponytail. Stick a doughnut bun at the base of it. Take a strand from the ponytail and create a fishtail braid. Secure with tiny hair elastics. You’re good to go. Pull side sections back into a ponytail. Create a hole in it and pull through twice. Use the top section, you’ve left before to do one more ponytail. Secure two ponytails together. Make a low ponytail, create a hole, flip it through, tighten, and loose the ends. 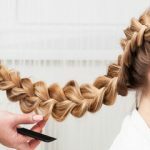 Create a simple three-strand braid. Hairspray it. Roll it inside to make a bun. Pin it well. Use as many bobby pins as needed. 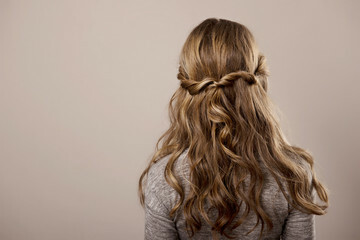 Fast and easy hairstyles for long hair can also be very creative, sophisticated, and romantic. Now is your turn. Try wearing them too.